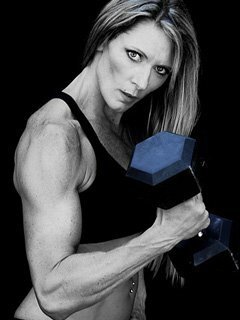 Kimberly reached the next level with help from Kim Oddo, the master blaster of women's fitness training. The results speak for themselves. I actually started lifting weights in high school, joined my first gym at age 17. In college and the subsequent years after that I strayed from the gym and took to the road running marathons and competing in triathlons. Five years ago in an effort to improve my race time I went back into the gym to train. I forgot how much I enjoyed training with weights. In 2009, I competed in my first Figure competition, placed 2nd in the 35+ category, and 3rd in the Open D class. I haven't looked back since. Kimberly took an extra step with the help of Kim Oddo. A personal trainer can change your life, your body and your future. My nutritional plan varies throughout competition season. Currently it looks like this (middle of training for competition). I love bodybuilding because there is truly no limit. There is always something you can strive to make better, stronger. The combination of training and diet is a true science, dangling the carrot of challenge that keeps me motivated to push for that extra rep, add 10 more pounds to the bar, and press through an extra 10 minutes of HIIT on the stair climber. My primary motivator is how good I feel! I know I cannot turn back my chronological age, but by living a healthy lifestyle I can reverse my biological age. I consume only organic meats, fruits and vegetables, adding plenty of whole grains as well. The balance between nutrition and fitness enables me to work two jobs, run my own health coaching business, train 2 hours every day and still have energy left over. I remember making the statement at 32-years old to a friend of mine "I want to be in the best shape of my life when I am 40!" Well now I have changed that goal to "I want to be in the best shape of my life when I am 60!" Living a healthy lifestyle made me realize that our biological age has nothing to do with our chronological age. I am in the best shape of my life right now and feel great; the motivation to continue to feel this good every day is what helps me achieve that goal. My plans for 2012 include the Governor's Cup, Sacramento, Calif., March 24th, Gulf State, New Orleans, Lou., June 23rd then taking it back to Nationals for a shot at earning pro status. I will always continue to teach the benefits of living a healthy lifestyle with regard to overall health and wellness in an attempt to decrease the occurrence of diabetes, heart disease and stroke in individuals ages 45-65. My goal is to change 1 million lives before I'm done! Don't believe you have to be better than everyone else. Believe you have to be better than you thought you could be. Rachel McLish and Erin Stern - both of whose pictures have graced the front of my refrigerator as both inspiration and motivation! I use the BodySpace feature to post photos to motivate me during competition season. I also use the Store for the best prices anywhere for my supplements. The training logs and nutrition logs help me keep track of changes I make in my program, as well as the vast amount of articles regarding different types of training. When I decided I was going to continue to compete and that my whim of entering a Figure competition for the heck of it became way more than a hobby (now a way of life) I knew I needed a trainer to take it up a notch. I was lucky to find the best in the business: Kim Oddo, Body-by-O, Temecula, California. I joined the ranks of Kim's Angels in late 2011 just prior to my sixth show. 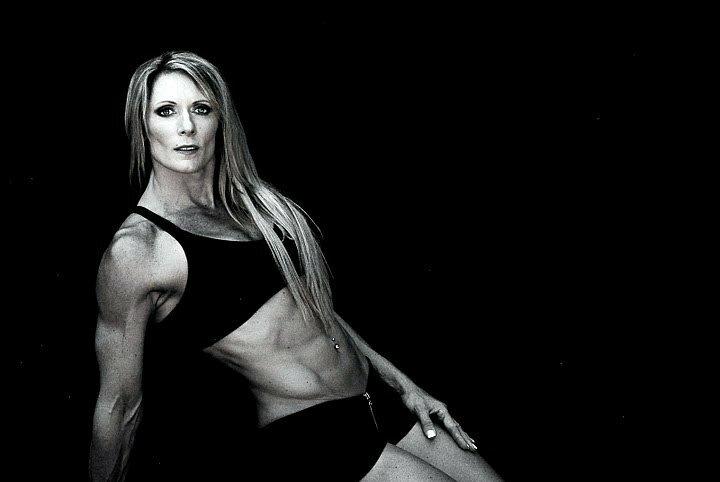 Kim's uncanny ability to tweak diet and training helped me bring home 3 trophies and an overall win.